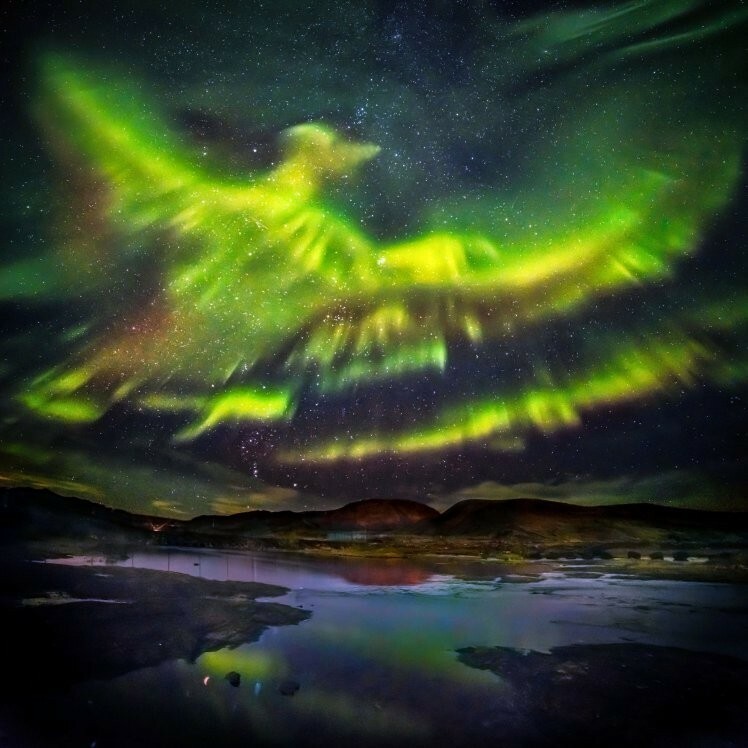 Images of what appears to be Phoenix rising in the northern lights in Iceland's skies have been spreading like wildfire across the Internet, awing viewers from across the globe. 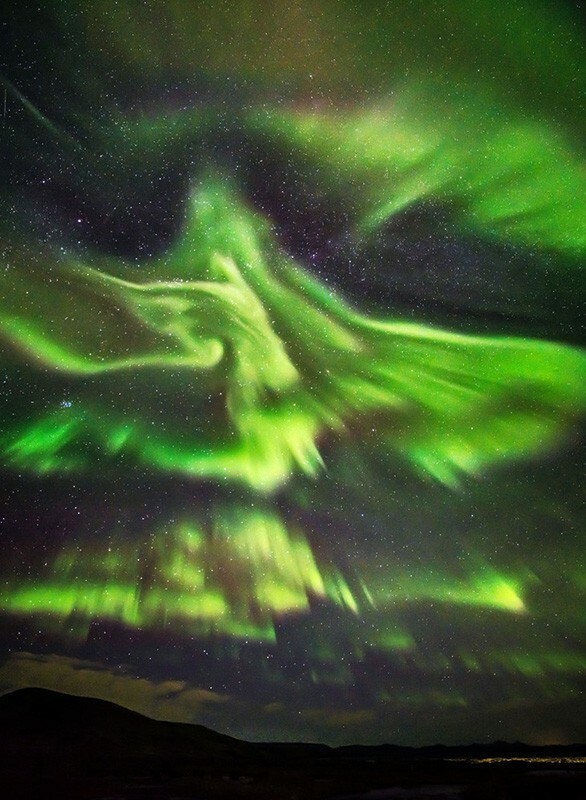 Photographer Hallgrimur P Helgason captured the remarkable photos in Kaldasel, noting that the bird showed up in the night sky an hour after he got there and started snapping. 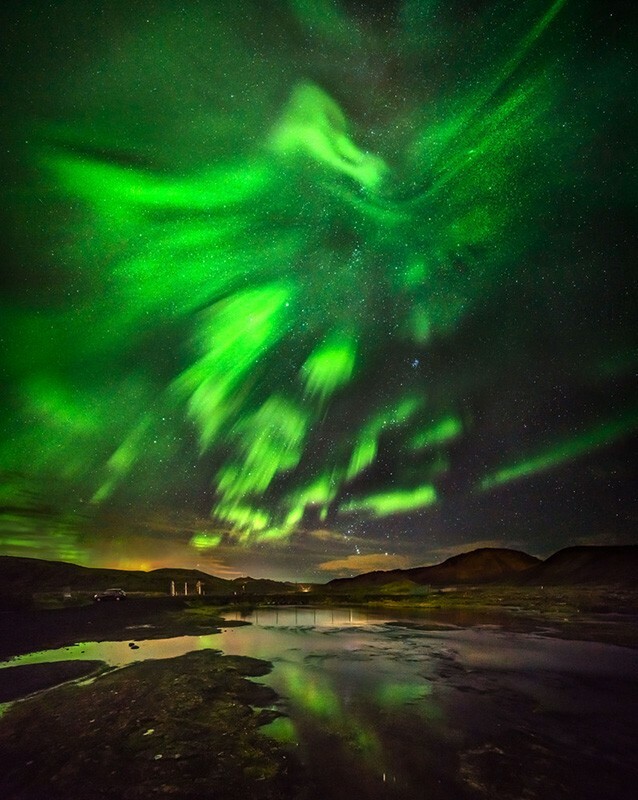 "It's really a thrill shooting the aurora, especially when they are so playful like they were that night. I have to admit that I always get an adrenaline kick when the lights burst out like that - that particular shot was the top one of the night," he remarked. 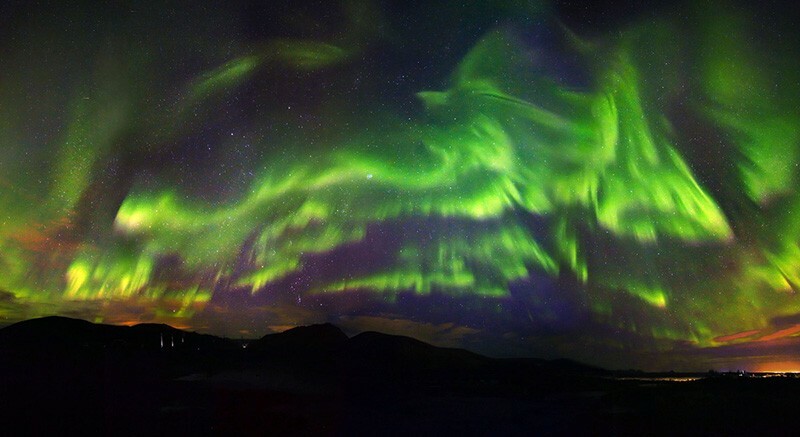 Helgason said the northern lights were mainly showing in green and yellow colors when he was shooting that night, but they also revealed blue and red, which suggests the aurora was strong. If you're hoping to capture images of the aurora, Helgason says he uses a camera and tripod, and recommends taking photos far away from city light pollution without a flash. The phenomenon occurs when particles from solar explosions collide with the Earth's magnetic field, which forces the particles up towards the magnetic North Pole where they interact with the atmosphere.